Macular holes form when people, especially women, grow older, resulting in sudden blurring and distortion of vision in one eye. Know all about it here! Sudden blurring and distortion of vision in one eye is often caused by macular holes. This condition is common among people who are over 60 years old, especially in women. 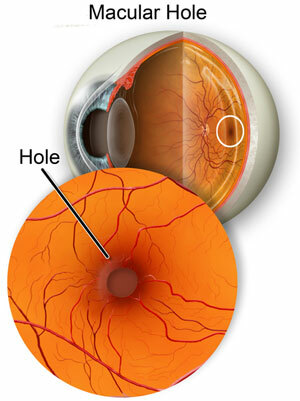 Here is some information to help you understand more about macular holes. A little knowledge of the anatomy of the eye will help explain what macular holes are and how they develop. The internal structure of the back of the eye consists of the retina, a layer of cells that contains photosensitive structures called rods. These rods enable you to see black and white images, shapes, and movements, especially at night. There is a small spot at the center of the retina called the macula, where cones or light sensitive cells are concentrated. This area is where light focuses and produces clear color vision necessary for you to recognize faces or other sensitive tasks. Sometimes macular holes or macular tears develop especially during the aging processes. When this happens, you will experience a sudden unilateral blurring of vision. It should be noted that this condition is not the same as age-related macular degeneration, an eye disease also common in people over age 60 years. Shrinkage/separation of the vitreous humor is a common cause of macular holes. The vitreous humor or vitreous body is a thick material similar to a gel found inside the eye, which helps maintain the eye shape. As people age, this thick gel becomes more liquid. The vitreous body is connected to the retina by thin strands. 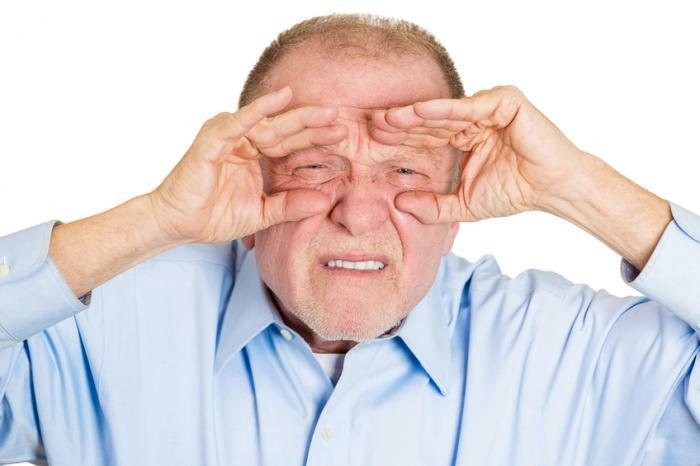 During the aging process, the vitreous shrinks, causing it to pull the retina. This can cause tearing of the retina, which could produce macular holes. Another way macular holes can result from vitreous shrinkage is when strands attached to the retina contract near the macula, leading to macular hole formation. Regardless of which mechanism causes the defect in the macula, fluid fills up the space where vitreous has shrunk, which could seep into the macular holes and cause blurring and distortion of vision. Macular holes sometimes resolve without treatment, but in most cases, they should be treated to prevent them from becoming worse, which could lead to vision loss. 1. Foveal detachment — 50% get worse without treatment. Treatment of macular holes involve surgical repair through vitrectomy. This procedure is performed by a retinal specialist who takes out the vitreous humor, which is pulling on your retina. It is then replaced by a mixture of gases, which now occupies the space once filled by the vitreous. This allows the macular hole to heal. You will be asked to lie facing down for about two to three weeks so make sure the gas bubble inside the eye stays in place while the macular hole is healing. Over time, the gas bubble gradually disappears as it is replaced by natural eye fluids. The risks of vitrectomy include retinal detachment and infection, which are both treatable. However, another common risk is development of cataracts, which usually occurs quickly after surgery. Fortunately, the cataract can be removed after the eye heals completely. A word of caution to patients treated with a gas bubble – air travel is not advisable for many months, as this can cause gas expansion due to pressure changes, which could lead to eye damage. If you acquire a macular hole in an eye, you have a greater risk (10%) of developing another macular hole in the other eye. It is therefore advisable to have regular eye examinations to detect eye problems early.